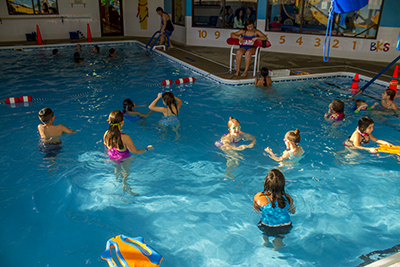 Celebrate your birthday party in Sycamore at Iddy Biddy Pool School with a swim party! 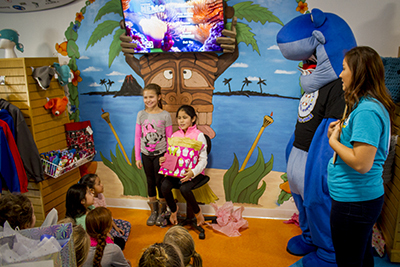 We are the number one spot in the Sycamore and Dekalb area for an indoor birthday party. Only $250.00 for a Full 2 hours of pure Birthday fun! You many invite up to 20 party guests. We require a $75 deposit to book your party. The remaining balance is due on the day of the party. IBPS provides Birthday Party Invitations for you to use alone or along with your own invitations. However, due to insurance purposes, our birthday invitations now include a waiver on the back of them. All party guests participating in the party must bring this waiver signed by a parent. Thank you for understanding. 2 hours of pure Birthday Fun! We do all the clean up!! Please arrive promptly 10 minutes before your party is to begin. The Birthday Party Room will be availble 15 minutes prior to your start time.